A novelty at Tucson 2015. 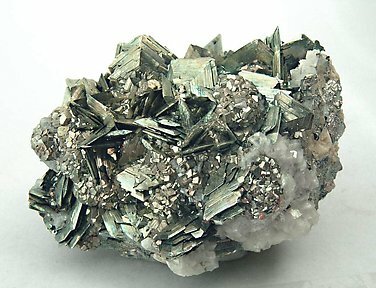 Very fine radiating growths of Marcasite crystals that are extraordinarily sharp, miter-shaped, very bright and are with small laminar and transparent Baryte crystals. 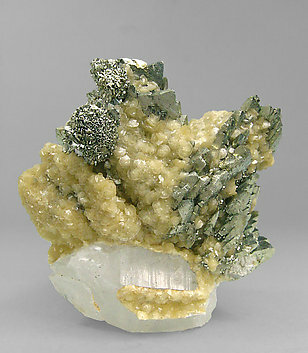 Very sharp "cockscomb” shaped Marcasite crystals with very well defined faces and edges. They are bright and are on a rocky matrix. 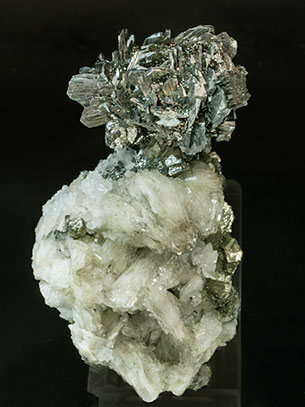 The Marcasite crystals retain a very good condition despite more than a half century has passed since was collected from a locality that is rarely represented in mineral collections. 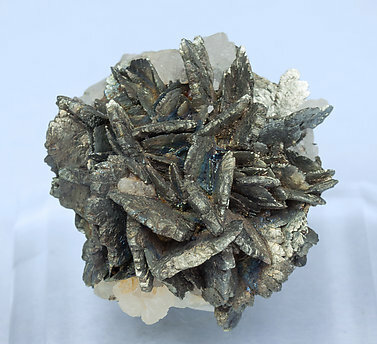 Very aerial aggregate of very sharp Marcasite crystals that are bright, with very well defined faces and edges, and on Quartz matrix, with cubic Pyrite crystals and “book-like” aggregates of laminar and bright Barite crystals. 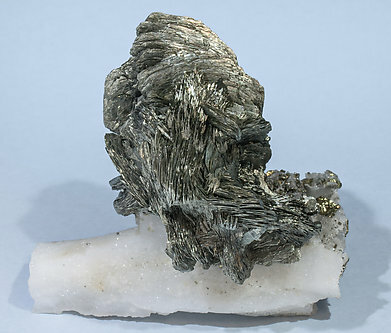 Cookscomb-like aggregates of flattened Marcasite crystals with very well defined faces and edges. The Marcasite, even considering the long time passed, has been perfectly preserved. A novelty at St. Marie 2012. 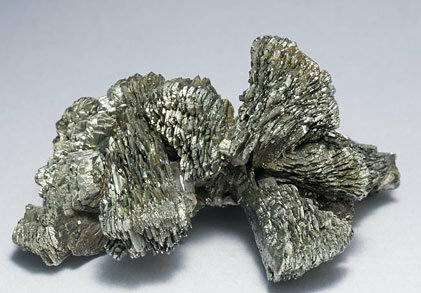 Very rich irregular aggregate of very flattened crystals of Marcasite that show, very well marked, the twin known as "cockscomb". 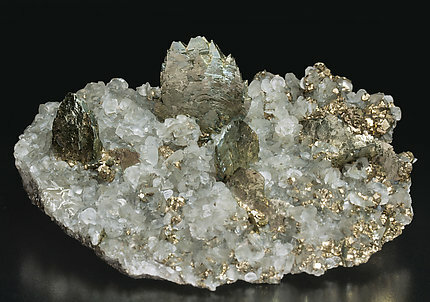 They are extraordinarily bright, with small disphenoidal crystals of Chalcopyrite, and have skeletal forms, especially on the back side of the sample, that reveal holes left by former tabular crystals, probably Baryte. 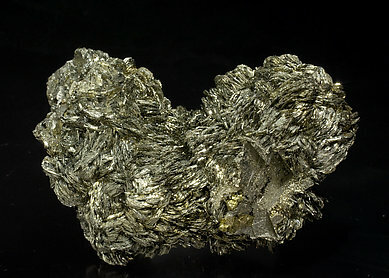 Group of twinned (this twin is known in German as “sperkise”) crystals of Marcasite, sharp, very well defined and bright, with groups of small cubic crystals of Pyrite and with Siderite and Calcite. 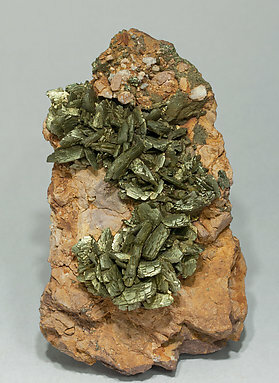 Very well defined and bright "cockscomb" growths of Marcasite with Quartz crystals partially covered by small lenticular crystals of Siderite and with Pyrite.